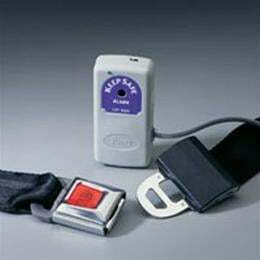 The KeepSafe alarm alerts staff to patients' attempts to exit a bed, chair, or toilet seat unattended. It is compatible with all Posey bed, chair, floor, and PIR sensors. All systems include control unit, saddle bracket, sound dampening plug, hook and loop adhesive strips, and 9V battery.